Are you interested in affordable and accessible large scale 3D printing? We offer our Builder Extreme range with financial lease. The bank will purchase the Builder Extreme for you and you pay a monthly fee to the bank who accepted the lease. 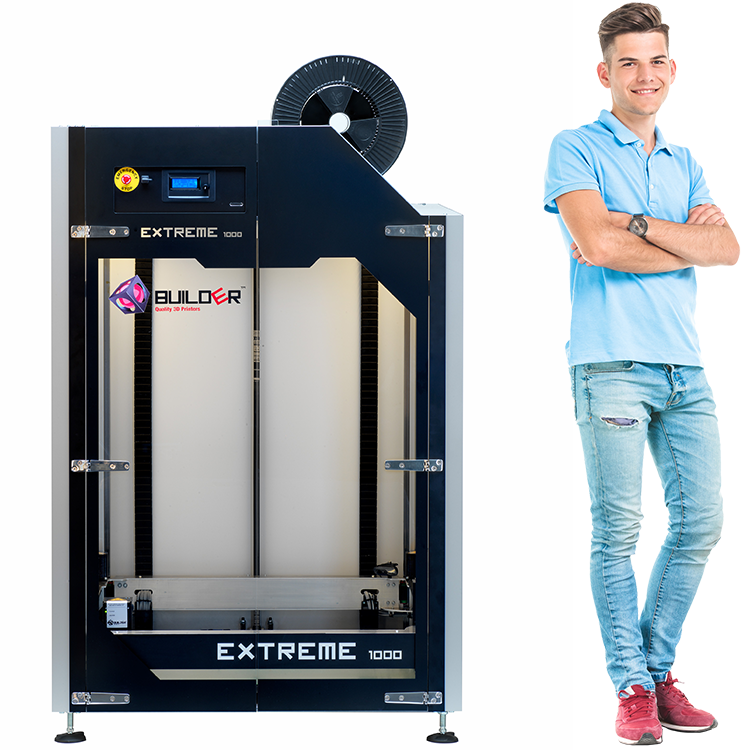 We offer 3 different time frames for the lease of the Builder Extreme 3D printer. The information below informs you about the duration of the lease and the costs per Builder Extreme 3D printer. Note that the monthly costs are only for the Builder Extreme 3D printer. Spare parts and consumables are not accepted in the lease. Spare parts, consumables and shipping costs will be invoiced by Builder 3D Printers. For now we are able to offer financial lease in the Netherlands, Belgium, Germany, France and the United Kingdom. Are you located in a different country? Please contact your local bank for financial lease.